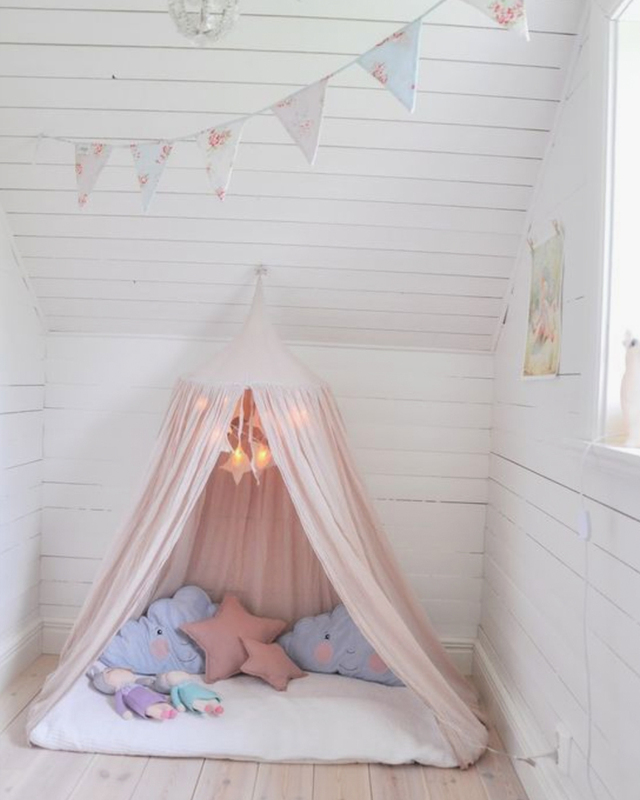 Having a new room style every now and again is an exciting prospect for any child. And there’s no better time than the present to shake things up – we guarantee that they’ll jump at the chance for a room make over! The design and style of a child’s bedroom is key as it’s the first real chance a child has to express their own personality and identity. We adore this naturalistic inspired look by Ruthie Matthews. The addition of the large mural design is super fun and imaginative; it really brings the room to life. Mural designs and statement walls are perfect for feeding the imagination and igniting adventurous play. But don’t fret if you’re not the artistic and creative type as there are many ways to achieve a winning design. Wall stickers and templates are readily available online and wallpaper is a great option for adding unique pattern and design to a focal wall. Neutral walls are a great option to achieve a clean look and they’ll also add more light and space to a room – there’s nothing better than a blank canvas to add your own stamp of personality. Bunting is a favourite accessory by many. It’s available in a wide range of colours and patterns so there’s a design suited to all. To add an extra special touch of creativity, you could help the little ones make their own! We know it’s not always easy to create spacious havens, so we recommend you keep the room light, bright and airy – this will help to maximise the feeling of free space. And don’t forget the floor: a light floor can really enhance the feeling of more space in any sized room. Our Wembury Coconut Oak is a firm favourite of ours. 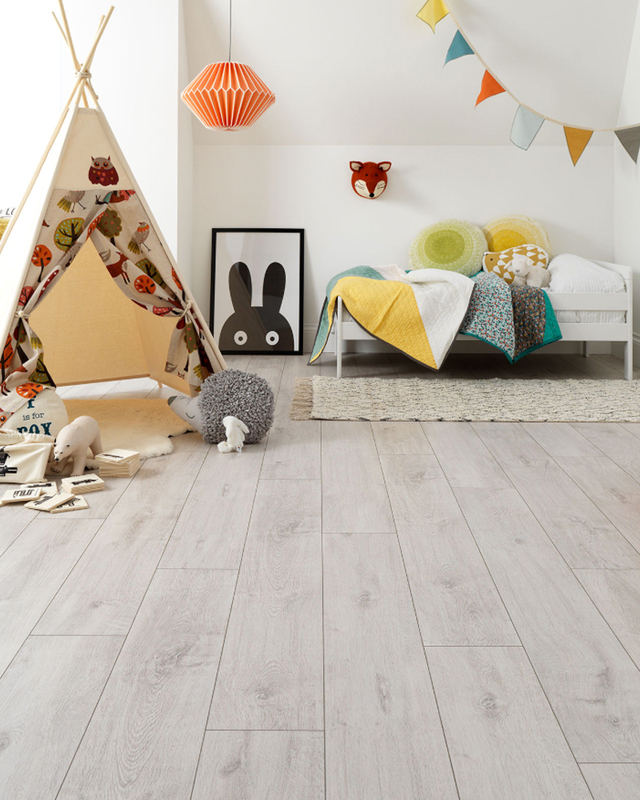 The light grey shade with the array of ashen details makes up a truly stunning floor. Pair light flooring with a neutral décor scheme and pops of bright colour for a really fun and vibrant look. 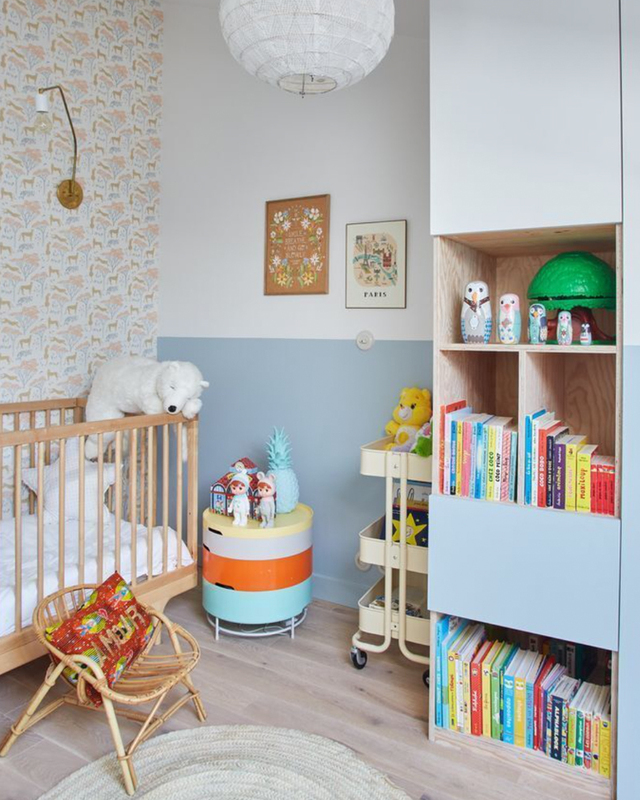 Storage is, above all, one of the most important elements in a child’s bedroom. With an abundance of toys, clothes and gadgets, quality storage is a crucial necessity for children of all ages. Shelving is perfect to tidy away smaller items. And we love the idea of box shelving. With an array of colours and shapes to choose from, they add an element of fun design as well as great practicality. 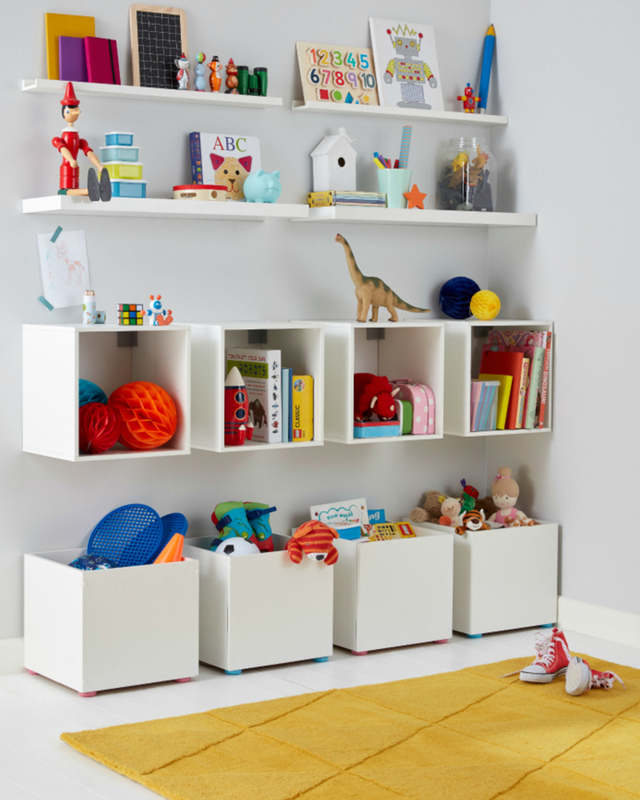 There is a large market for unusual storage solutions for children’s rooms at present, so we highly recommend you spend some time doing a little bit of research to see what’s available. 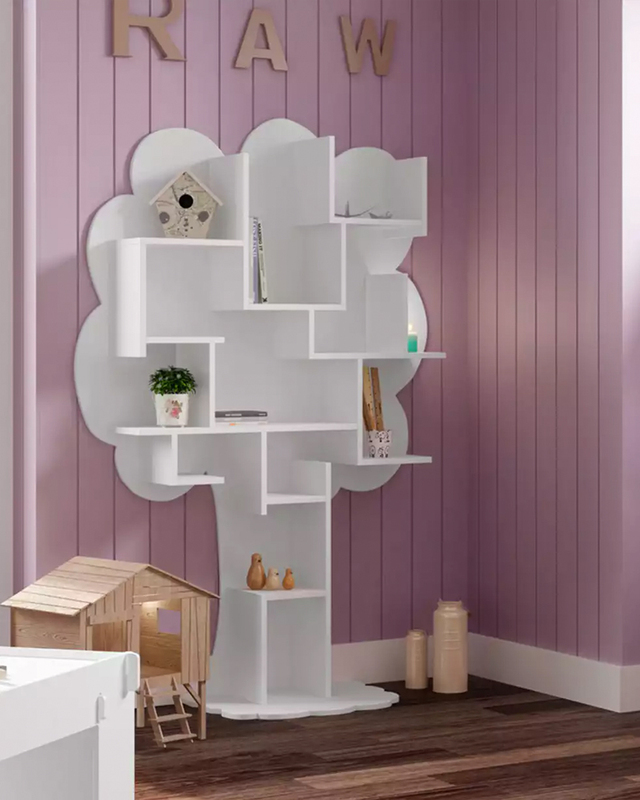 We adore this tree bookcase, from The Baby Room – it’s stylish and fun as well as practical. If possible, built in storage options are ideal. These shelving cubby holes are a fab idea for tidying away books and smaller trinkets and keep sakes.